Alison Brooks Architects were invited to exhibit at the 15th Biennale di Architettura in Venice. Working alongside the London Borough of Brent in north London, Alison Brooks Architects have been leading a 15 year masterplan to re-integrate the community, its architecture and public spaces into the city. 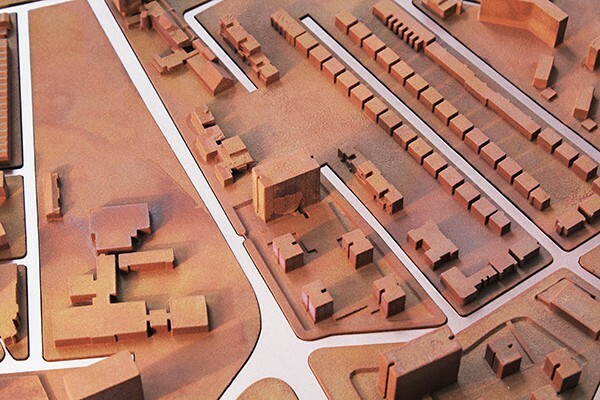 Chalk helped to produce the 3 masterplan models which went into the exhibition by developing a whole new approach to production of architectural models. 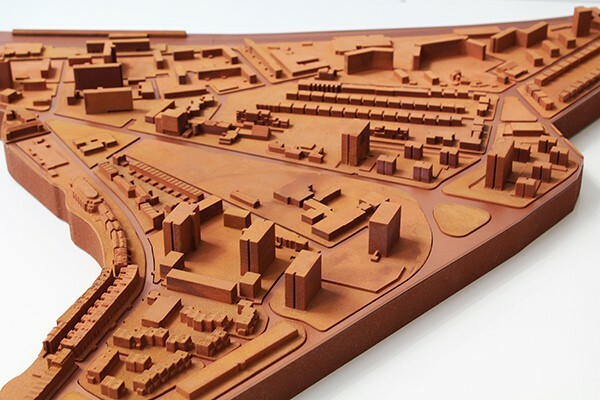 To highlight the progression from old to new, each of the; existing, current and future masterplans, were connected with an earthy copper powder base tone, which was then accentuated with highly polished copper plated buildings to denote the future developments and roads on the site. To find more about what else featured at the Biennale, click here.